If 2017 is to be remembered for something, then it will be remembered for being the year of the ICO (Initial Coin Offering) and the year the world sat up and took notice of cryptocurrencies. More than $5.6 billion was raised via ICOs in 2017 and already in the first two months of 2018, we have seen 50 ICOs successfully raise over $1 billion. 2018 promises to easily outpace 2017 in terms of the number of ICOs and the amounts that will be raised. But it isn’t all success and big pots of money. Of the 902 ICOs in 2017, 142 failed before their offerings, whilst another 276 ICOs failed after raising their funds. That leaves 435 ICOs deemed a success, just 48%. So, with increased competition in 2018, heightened regulation, and greater rewards, the line between success and failure is getting considerably finer. Put simply, your ICO marketing strategy is the difference between success and failure. You can have the best product ever, but without the right ICO marketing campaign in place, you are doomed to fail. Your product could change over time, but in general, you only get one first impression and one chance to convince a prospective investor, which is why a well-planned and professionally-executed ICO marketing strategy is imperative from day one of your projects’ conception. There needs to be a well-written, transparent and easy-to-understand white paper. This is the meat to your ICO bone. Do not duplicate content from other white papers. This is one of the most harmful things you can do to your ICO, as it will cause your ICO to be considered a scam! The website should be well designed, be modern in its look and be clear and easy to navigate. A professionally-made short explanatory video is a great way to attract attention and get your message across. All the creative materials and graphics must be compliant, clear, and attract further interest. The website requires a clear call-to-action (CTA) which will entice potential investors. The website needs a transparent and attractive email sign up. Be it newsletters, updates, special offers etc. opted-in emails are a great targeted and interested audience. The website needs to be fully SEO optimized (SEO stands for Search Engine Optimization) with quality content and a well-planned on-page SEO strategy. To build trust, it is highly recommended to list all your key team members and link to their LinkedIn profiles. The more transparent your project, the more trust you will build. When SEO is performed correctly, you are ensuring a cost-effective long-term source of targeted and interested traffic. An ongoing SEO strategy involves ORM (Online Reputation Management) which ensures negativity or attacks by rivals are minimized. SEO encompasses branding which can make or break an ICO. Having an SEO strategy in place tells potential investors that you are in it for the long term and not just a “here today, gone tomorrow” ICO. Without a visible SEO strategy, alarm bells may ring for investors and scare them away, fearing a fly-by-night scam ICO. 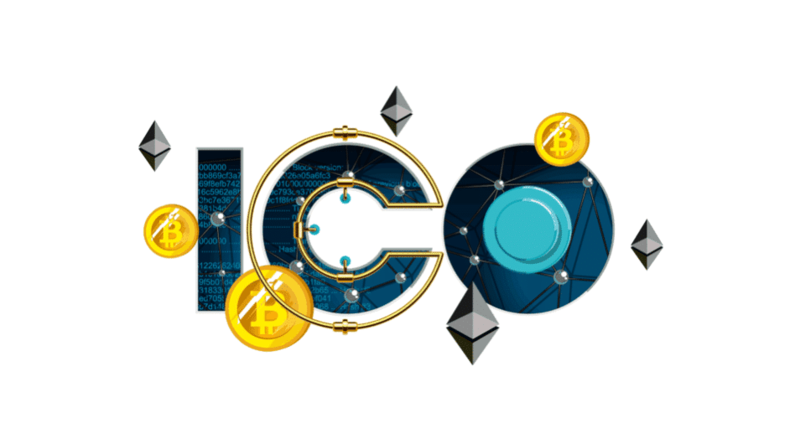 As regulations on ICO advertising become stricter and marketing channels narrow in 2018, a well-thought-out and professional SEO strategy should be the bedrock of all ICO marketing strategies. All too often ignored in the immediacy of ICOs, a targeted, carefully planned and expertly executed SEO strategy is the key to long-term ICO success and must not be ignored. So, the SEO optimized website has been launched and now it’s time to communicate your message and your ICO project to the world. Press releases are a tried and true method of getting your message out there. The press release should be professionally written and added to the websites that matter. This can of course be done in-house, but an ICO marketing agency offers expertise, experience and relationships that truly optimize this conventional but effective marketing channel. There are some free sites that will publish your press release but if you want the top-tier sites with the highest exposure and the greatest reach, be prepared to pay a premium. Having your articles published on relevant and popular websites is a great method to reach your target audience. A well-written, interesting and informative article published on a top-tier site being read by your targeted audience can be priceless. Sites can be free or paid, and there are many top-tier sites that will publish an article for free, and this is where the relationships and experience that ICO marketing firms possess comes to the fore as quality content generation and the right places to publish them are not easy to find. Guest posts and articles with do-follow backlinks (links that pass on the site’s “authority” to your site) can also provide a massive boost to your SEO strategy. Getting your ICO listed on top-tier specialized sites should form an integral part of all ICO marketing strategies. Prior to the actual offering, ICO listings are an essential method of getting credibility and visibility to your project. Top tier sites will of course, cost a premium, but should be factored into any ICO marketing budget. There are some free sites, but they simply do not offer the reach or exposure as the premium sites. PPC (Pay per Click ads) are probably the most challenging method of marketing your ICO in 2018 compared to 2017. High profile bans on ICO advertising by Facebook, LinkedIn and most recently Twitter have ended what was an effective method of ICO marketing. To make matters more difficult, Google is banning ICO advertising as of June 2018. There are still a wealth of specialized crypto sites and blogs, news sites and networks which offer banner advertising, but the market is shrinking and coupled with the increased competition, 2018 definitely requires more out-of-the-box thinking and exploration of other avenues within any ICO PPC marketing strategy. Email marketing is another more conventional marketing channel that can still reap great rewards, but like PPC, is more difficult in 2018 due to bans and restrictions. MailChimp, one of the largest email service providers, has banned ICO mailing, but there are other providers out there to use. Any email marketing strategy for ICOs must be handled very carefully. Sending emails to individuals without their express consent can not only damage your reputation but also incur heavy financial penalties as well as limiting your future emailing capabilities. When it comes to email marketing, the best approach is to build your own opted-in email list, but that takes time and isn’t the quickest ICO marketing solution. An ICO marketing agency may offer their own ‘opted-in’ email lists which can generate fantastic ROI. The important thing to remember is that taking shortcuts in email marketing may bring short-term results but in the long term, will do more harm than good. Reddit: The Reddit community is a well-informed and unforgiving audience. Win their trust and you go a long way to making your ICO a success. Creating subreddits and/or commenting on existing threads can generate a surprisingly high level of exposure. Facebook groups: There’s no ICO advertising allowed on Facebook, but there are plenty of popular groups with an interest in all things ICO, cryptocurrencies and blockchain. Also, Facebook offers a strong opportunity to build your own interested community. Twitter: Like Facebook in that there is no advertising, Twitter is still a very popular platform for the crypto community and influencers with hundreds of thousands of followers can be targeted for ICO marketing. Telegram: The fastest growing social media platform and an outlet that must be marketed to. Telegram was very lovingly embraced by the crypto community from its inception and the popularity keeps on growing. Specialized Forums: Bitcointalk.org and some other specialized forums are widely read by the crypto community and carry a fair degree of influence. Quora Discussions: Popular and continually updated threads (example) offer high-level exposure and a great opportunity to communicate your ICO’s message. LinkedIn Groups: LinkedIn groups (example) have thousands of members, are free and tap into a very targeted and knowledgeable audience. To get the very best out of the social media and community management channels, you need a knowledgeable marketing manager that can monitor, publish and interact with the social communities. The best and cheapest form of advertising is through word of mouth and these communities offer untold levels of exposure. Bounty programs played an important role in many successful ICO marketing strategies in 2017, and we are already seeing more of the same success in 2018. Providing ‘bounties’- incentives and rewards – have been proven to be an effective way to garner investor interest pre-ICO and to keep stakeholders engaged after the offering. 2017 also saw the increased use of ‘Airdropping’ – the giving away of free tokens. This is an ICO marketing method that must be handled with care. Don’t give away any tokens at all or give away too few and you risk not optimizing a popular method of marketing. Give away too many tokens and you run the risk of your project being seen as a scam or impacting upon your projects’ viability. When it comes to closing deals, there is no better situation than face-to-face. Attending blockchain and crypto events, conferences and roadshows offers the perfect opportunity to communicate your project pre- and post-offering. It is strongly recommended that the CEO or founders attend as many of these events as financially and physically possible. There really is no better way to establish trust and actually close deals. Attending or sponsoring these events can be costly, especially if there is travel involved, but they offer a tremendous ROI and should be factored into every ICO marketing budget. Fail to attend these events and invariably you are dooming your ICO to failure, such is their power. Marketing your ICO in 2018 is a very different prospect than it was in 2017. There are far more regulatory challenges, advertising bans and far greater competition than in 2017. For your ICO to be a success, you need to adopt a multi-faceted approach to marketing and you need the assistance of an experienced and innovative ICO marketing team. Doing all the marketing in-house is simply not possible and will more often than not result in failure. To fully optimize the channels and opportunities you have, you need to know what you are doing, as that key first impression can make or break your ICO and you won’t get a second chance. Your product may change, but the first impression your project gives can never be changed. The ante has been upped in 2018. People are more wary about the growing number of Scam ICOs, regulation is being tightened and investors are more cautious. In 2018, you have to work a lot harder and smarter in your ICO marketing strategy, but get it right and there are some pretty big rewards waiting at the end of that ICO rainbow. About the author: On Yavin – Co-Founder & CEO at Cointelligence, a platform for monitoring and analyzing real-time crypto-economy market data. On is a serial entrepreneur and an angel investor with over 20 years of experience in the tech industry. On is an expert in the field of online marketing, with deep hands-on experience and knowledge of SEO, PPC and ORM. On has a law degree (LLB) and is also a certified Advocate by the Israeli Bar Association.